10 Things for Citizenship By Investment Candidates To Keep In Mind When Viewing the CBS 60 Minutes Passport for Sale Report - Caribbean & Co.
High net worth individuals and their advisors researching second passport options are likely to come across the CBS 60 Minutes Passport For Sale Report broadcast on January 1, 2017. This report should be viewed with caution as it presented dated information and didn’t offer a balanced view of the 5 Caribbean Citizenship By Investment Programs. These 5 Caribbean Citizenship By Investment Programs which are focused on raising much needed Foreign Direct Investment, provide the opportunity to secure a second passport in three to six months after passing a thorough due diligence background check and making a minimum investment from US$100,000 to US$250,000. With that in mind, here are ten things to keep in mind when reviewing the CBS 60 Minutes Passport For Sale Report. 1. The CBS 60 MInutes Passport for Sale Report starts with an introduction at the 9th Global Citizenship Conference which took place in Dubai, November 1 – 3, 2015. For a program broadcast on January 1, 2017, this is quite dated considering there was a 10th Global Citizenship Conference held in London, November 9 – 11, 2016 at the Savoy Hotel where updates were presented by representatives of the 5 Caribbean Citizenship By Investment Programs. 2. The European Citizenship By Investment Programs were spoken about positively at the top of the report — in particular, the Malta program was described as the top of the line. However, the Caribbean Citizenship By Investment Programs were negatively portrayed and described as less discriminating alternatives which is hardly the case. Yes, the investment fees are lower, but the due diligence process is just as if not more rigorous. 3. The St Kitts & Nevis Citizenship By Investment Program which launched this now 2 billion dollar industry was not as mentioned in the CBS 60 Passport For Sale Report started ten years ago but in 1984 – so 33 years ago. Granted it only came to prominence ten years ago when Henley & Partners got involved and began aggressively marketing the program. During the last 10 years through the end of 2015, approximately 10,777 candidates were granted citizenship and by extension second passports via the St Kitts & Nevis Citizenship By Investment Program. These candidates came from 127 different countries. 4. The handful of alleged rogues, scoundrels, fugitives, and tax cheats highlighted in the CBS 60 Minutes Passport For Sale Report from the St Kitts & Nevis Citizenship By Investment Program are all historical cases. No, they should not have been approved in the first place, but the St Kitts & Nevis Citizenship By Investment Program like all the others in the region have since hired more qualified staff and tightened their criteria and due diligence process. Newer offerings like the Saint Lucia Citizenship By Investment Program learned from the mistakes of the more established programs and launched with extremely strict standards, this was not outlined in the CBS 60 Minutes Sales for Passport Report. 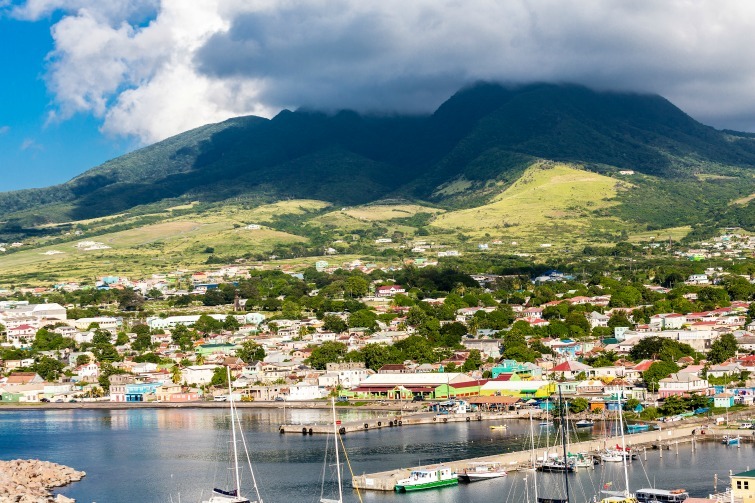 St Kitts: View of harbor and mountains off in the distance. Photo credit: © Dbvirago/Adobe Stock. 5. Considering the potential ramifications of their entire population losing visa-free access to certain countries as what happened when St Kitts & Nevis lost visa-free access to Canada when these historical cases came to light a few years ago, it would have been foolish for them or any of the other programs to continue accepting candidates who don’t meet a high standard. Failure to do so undermines the value of the product – the passport and would ultimately hinder them from attracting qualified candidates in what is now a very competitive marketplace with 8 Citizenship By Investment Programs. 6. Contrary to the CBS 60 MInutes Passport For Sale Report, there is more to the application process than writing a check. Citizenship By Investment candidates and their families now go through a rigorous application process and submit a wide variety of certified documents including but not limited to birth certificates, passports, school records, marriage certificates, divorce certificates, criminal/police certificates, fingerprints, financial and banking records, business records, work records, health records, etc. 7. A candidate’s application along with supporting documentation is submitted by an approved agent to the relevant Citizenship By Investment Program and is reviewed most likely by an American or European third-party due diligence firm. In fact, due diligence for all candidates is now checked at the local, regional and international levels – cross-referencing government and business databases as well as on the ground sources. So quite a rigorous process. 8. All 8 of the current Citizenship By Investment Programs including those in the Caribbean and Europe were approved by the legislative bodies of those countries. None offer diplomatic passports for sales – it is just the regular passport. Thus Citizenship By Investment and the illegal sale of diplomatic passports as alleged to have happened via the Dominica Citizenship By Investment Program are entirely two separate issues and should not be combined as it confused the matter. 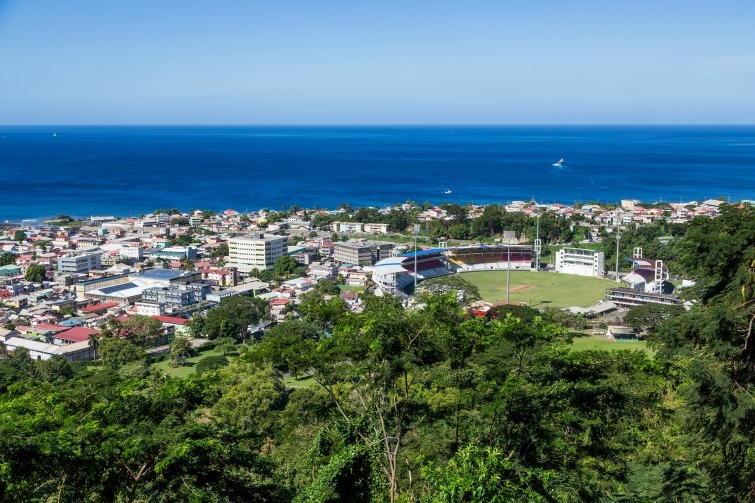 Dominica: View of the capital Roseau from the mountain. Photo Credit: © Dbvirago/Adobe Stock. 9. Yes, beyond improved due diligence, transparency is an area for improvement, and some countries are now publishing their program data. In addition to the general statistic for the St Kitts & Nevis Citizenship By Investment Program highlighted above, we know that the Antigua & Barbuda Citizenship By Investment Progam launched in 2012, received approximately 800 candidates through the end of 2015 with about 40% of the candidates coming from China, and 20% coming from the East Middle. Their statistics are published on the Antigua Citizenship By Investment Program website for all to review. That said, this need for greater transparency is one of the reasons I recently launched the 7 Steps Citizenship online course as it creates further awareness and presents the information on the Citizenship By Investment Programs in an objective and thorough way so that potential candidates can make an informed decision about which program is right for them and their families. Also, it will help prevent them from falling for dodgy schemes not connected to the legitimate programs. 10. The CBS 60 Minutes Passport for Sale Report failed to highlight anything positive about the 5 Caribbean Citizenship By Investment Programs. For example, according to Dominica’s 2016 Budget, in the 2015/16 Financial Year, EC$279.8 million was raised via their Citizenship By Investment Program. EC$44 million of this was spent on various projects including employment and apprenticeship programs, small and micro business support and road repairs after Tropical Storm Erica in 2015. With the Antigua & Barbuda Citizenship By Investment Program another of the ones featured, the monies raised was projected to be around EC $111.4 million in 2015 compared to EC$60.3 million in 2014. For St Kitts & Nevis, the program was projected to generate 30% of the government’s revenue in 2015 — roughly EC$200 million. A significant percentage of the millions generated by both programs are used to fund various development initiatives across a range of sectors through the Antigua & Barbuda National Development Fund (NDF) and the St Kitts & Nevis Sugar Industry Diversification Foundation respectively. Overall, there was an inherent bias in the 60 Minutes segment against the global elite from countries like Russia, China and in particular the Middle East. Very few as the report suggest are just looking for a “change of scenery or a change of passport, a new life or maybe a new identity, a getaway from the rat race, or perhaps an escape from an ex-spouse or Interpol.” Most Citizenship By Investment candidates from these countries use their wealth to secure a second passport so that they and their families can escape political conflicts, have greater access to business and educational opportunities or simply have more rights and privileges including visa-free travel, things that we in the West take for granted. A second passport for many of these people is not a luxury but a necessity. Beyond the bias against the global elite, there was also an inherent bias against the 5 Caribbean Citizenship By Investment Programs as too much time in the CBS 60 MInutes Passport For Report was spent presenting negative historical information. Yes, in the past a few bad candidates slipped through (I know, even one is too many! ), but most Citizenship By Investment candidates are upstanding citizens. Furthermore as already highlighted, the due diligence process for all the programs has significantly improved. So greater balance was needed presenting not just historical information but also highlighting improvements to the programs and perhaps even some of the projects funded by the millions of Foreign Direct Investment dollars raised which are helping to diversify these countries economies now too heavily dependent on tourism. Too much time was spent presenting a very dated and negative view of the 5 Citizenship By Investment Programs which is most unfortunate and not helpful to potential candidates, advisors, international stakeholders, local citizens and the programs themselves.